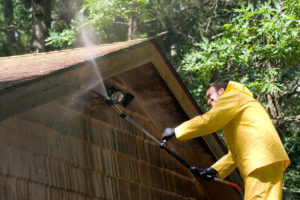 As one of the premier power washing companies in the state of Virginia, the leaders at Fredericksburg Pressure Washing continue to deliver a top of the line service that has wowed our customers since our inception. We are a local company, that put the focus on the customer. As much as the big city power washing companies can vouch for themselves, our long list of commercial, industrial and residential clients can vouch for our true professionalism. Now is the time to see what Fredericksburg Pressure Washing can do for you in the residential, commercial and industrial power washing niches! The art of the residential power wash is a fine one, and here at Fredericksburg Pressure Washing, we have become true masters. As Fredericksburg, VA is our hometown, we have been servicing this community for years, and no matter what kind of service you are looking for, our team will be able to deliver it. From full home cleanings to dealing with the grit and grime of winter on your driveway, the team at Fredericksburg Pressure Washing will be able to deliver a top-notch service each and every time. With our residential clients, we make sure to take care of your property and ensure that when we leave the only thing that is different is your home, driveway and sidewalk will be spick and span. 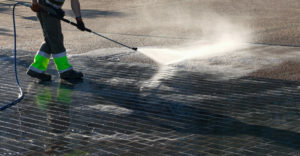 The city of Stafford, VA has long been a haven for those in the know, and our work within the commercial power washing sector has certainly not gone unnoticed. 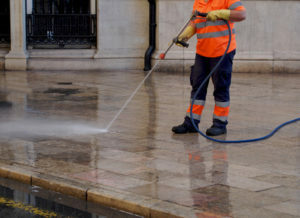 From our great work in the city center, to some of our work in the various restaurants and bars around town, the team at Fredericksburg Pressure Washing has long been the go-to choice for all of your pressure washing needs. Our company has focused our efforts on the property itself, including the parking lots, buildings and sidewalks, as well as, commercial kitchens. We cannot wait to help you out with your next pressure washing service, and no matter if you are in Stafford, VA or beyond, we are here for you! 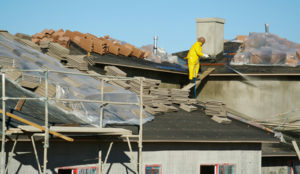 Spotsylvania, VA is a working town, and a working town deserves a pressure washing company that can make a difference. We have been working in Spotsylvania, VA for years, and no matter if you are looking for a cleanup around your factory, or dealing with large equipment, we are the team for the job. 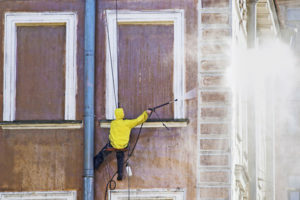 When it comes to industrial power washing, the team at Fredericksburg Pressure Washing has long been the chosen company in Spotsylvania, VA. We offer some great services, and we cannot wait to help out! Our services include the clean-up of large equipment including farming and construction equipment, as well, we offer factory cleaning that will work with your schedule. Call our team today, and find out why the team at Fredericksburg Pressure Washing is the premier choice for all things industrial power washing!